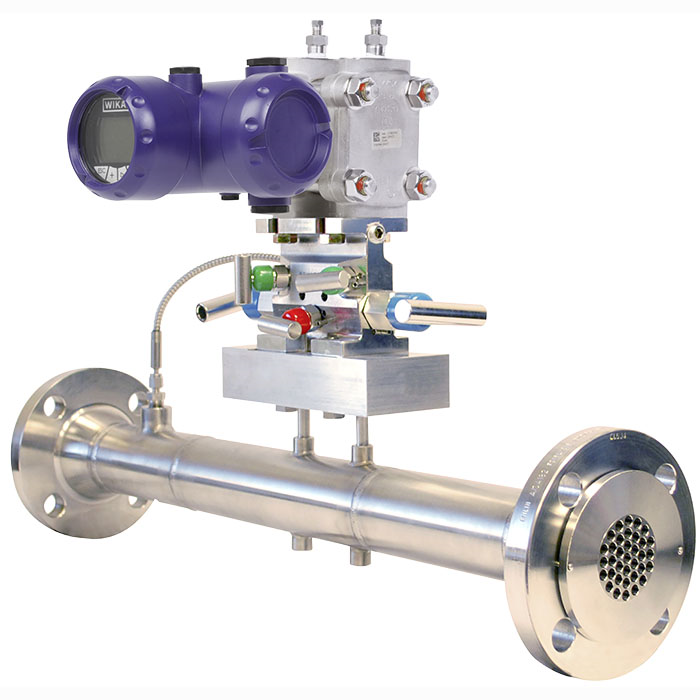 The ProPak flow meter is a combination of proven and innovative technologies for flow profile formation. The ProPak flow meter sets new standards in terms of performance and surpasses other technologies by a long way, even in demanding and critical applications. No straight upstream and downstream pipes are required, independent of the flow profile. Even installation following two 90° elbows does not represent any problem. Thus the ProPak flow meter is the best differential pressure flow meter in the entire market for applications with limited mounting space. The ProPak flow meter has almost no negative effects on the flow profile. The pressure loss has been reduced to a minimum, therefore achieving the highest energy efficiency of all flow meters. Even Venturi tubes exhibit poorer values.